I’m a history enthusiast and that combined with my love for students and missions has led me to do a lot of reading and research in these three areas. The 1700’s produced many students that were world changers, and Count Ludwig Von Zinzendorf was head of the class. Born in Germany in 1700, he grew up and attended the University of Wittenburg to study law. At age nineteen he was looking at a painting of Christ in agony on the cross and an inscription below that read, “All this I did for you, what are you going to do for Me?” From that moment on, he knew that he could not do anything but commit himself to spreading the gospel throughout the world. He started a twenty four hour prayer vigil that focused on world intercession that continued unbroken for a hundred years. As a result, his mission society, the Moravians, sent out more missionaries the next twenty years than all the Protestants or Anglicans had sent out in the previous two hundred years! He had a passion to mobilize and send out workers to the farthest places on earth. Born in England in 1703, John Wesley was the son of a minister but had not yet been converted when he started at Oxford University in 1720. Religiously brilliant, but still unsaved, he became the leader of a small dedicated group called “The Holy Club.” Their spiritual disciplines and “methods” formed the basis for the Methodist denomination. Wesley came to the states in 1735 to be a missionary to the Indians in Georgia but made many mistakes and returned to England very discouraged. While on the voyage back, he met a Moravian missionary whose life and words impacted him. Not long after arriving back in England, Wesley gained an assurance of his salvation and began preaching the gospel message everywhere─sometimes ten to thirty thousand people would wait patiently for hours to hear him. During his lifetime of itinerant ministry, he traveled 250,000 miles, preached 40,000 sermons, and gave away over 90% of his income. The legacy of Zinzendorf and Wesley created whirlwinds of global impact for Jesus that did not end at their death. In fact, the person that is hailed as “The Father of the Modern Missionary Movement” was greatly influenced by their examples. In response, he wrote a small book that analyzed the need for world evangelization, and he convinced a few of his friends to form a tiny missions agency that sent him to India in 1792. 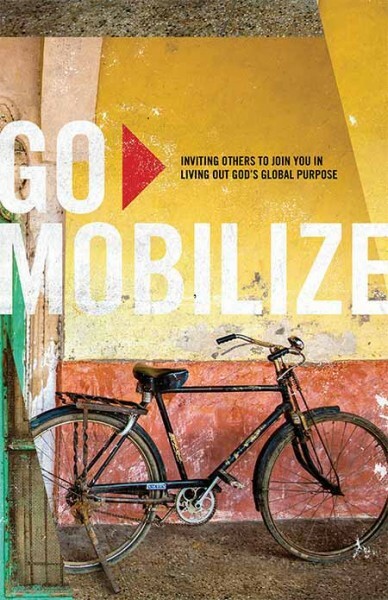 Carey and his book ignited an avalanche of evangelistic activity that spawned the forming of many mission agencies over the next twenty five years. Carey himself spent his entire life in India preaching the gospel, planting churches, and translating the scriptures into forty different languages and dialects. These five young collegians not only initiated the first nationwide student movement, they began the first six mission agencies from North America. Although there were just twenty five colleges in America at the time, the “Haystack Five” helped launch small world mission study and prayer clusters on them called “Society of the Brethren.” These five students supplied the fuel, and God made sure the flame grew bright. It was obvious by now that God would pass the baton from student to student, placing in them a vision and passion for reaching the world. This leg of the race was to be spearheaded by a sickly medical student in England by the name of Hudson Taylor. Even though he battled depression, he committed himself to go to a coastal city in China as a missionary. After some time, he yearned to go into the interior where the bulk of the masses lived and died without ever hearing about the Savior. His radical ways of asking only God for financial help, and living with and dressing like the Chinese caused the other missionaries to ostracize him. Amid much opposition he broke away in 1865, formed the China Inland Mission (CIM), and started to recruit students from England and other countries to come help him reach the Chinese. Taylor had a divine wind behind him, and he asked God for great things, believing he could move men to give and to go by prayer alone. Before the missionaries were kicked out by the communists in 1949, CIM had sent almost six thousand missionaries into China’s interior. Taylor, “The Father of Faith Missions,” was the first of the approximately seventy percent of today’s full time Christian workers in the world who, by faith, live on monthly support rather than a guaranteed salary. Sailing for China as a single twenty three year old female missionary was unusual, but par for the course for this diminutive, but bold pioneer. Passing up a marriage proposal from a prominent seminary professor was difficult, but she justified it by proclaiming, “God had first claim on my life and since the two conflicted, there could be no question about the result.” At first her ministry was confined to teaching at a girls school, but she finally struck out on her own to do evangelistic work in North China. Despite tremendous opposition, nationals did come to Christ, a church was established, and thousands were baptized over the years. Lottie is most known for her vigorous recruiting of volunteers and money for missions. She mobilized thousands of women in the states to pray, volunteer and enlist others to give to foreign mission work. Severe drought broke out after China’s “Boxer Rebellion” in 1911 and Lottie, to her own detriment, gave away all her money and food to help the starving. Other missionaries tried to rescue Lottie in time to save her life, loading her frail and famished body on a ship headed for America, but she died on board late one December night in 1912─Christmas Eve. How appropriate that the Southern Baptist annual world missions funding effort that has raised hundreds of millions of dollars over the years is named for Lottie Moon and takes place at the same time each year─Christmas. 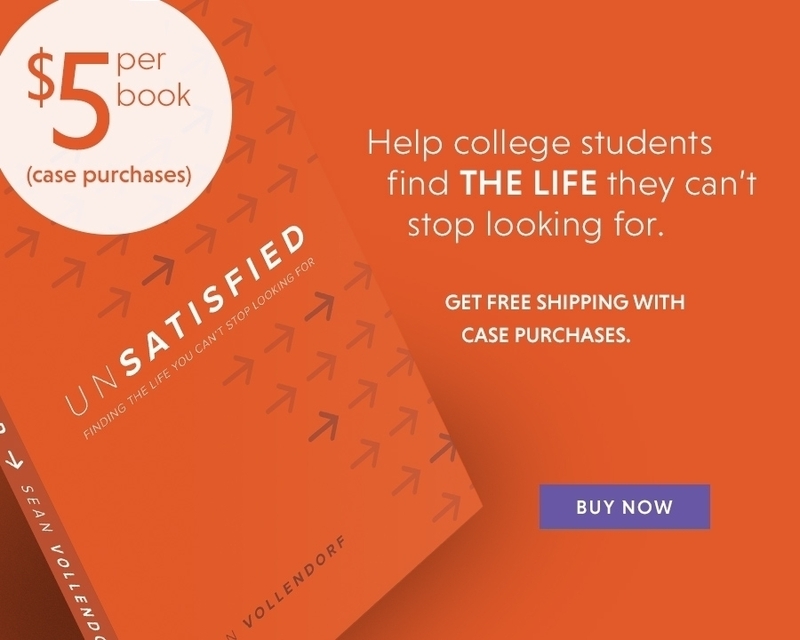 In the early 1880’s, God used a group of young college students in England called “The Cambridge Seven” to ignite the most effective mobilization effort of all time: The Student Volunteer Movement (SVM). These seven young aristocrats─two of them famous athletes and two military officers─helped catapult the little known China Inland Mission Agency from obscurity to what one newspaper called an “almost embarrassing prominence,” inspiring hundreds of recruits for the CIM and other mission societies. After a year long tour of the British Isles speaking to packed out audiences, the “sporting hearties” (what another newspaper had dubbed them) set sail for China in February of 1885. Their written story of giving up fame and fortune for a missionary call The Evangelization of the World was distributed to every YMCA and YWCA throughout the British Empire and United States. The impact was amazing, and by the time the seven arrived in China, CIM had already signed up 163 missionaries. They doubled by 1890, and reached eight hundred by the year 1900; these numbers represented fully one-third of the entire Protestant missionary force. The willingness of these popular, athletic and wealthy young men, forsaking all the comforts of England to spend their life in China’s back country, was a story the press could not pass up. It was also a story God could not pass up, as He used it to spread a wildfire of interest and decisions across the universities of the western World. That day he made an unreserved surrender to carry on the legacy handed down from Mills’ group. His newfound purpose stated: “Let the students in these closing years of the century consummate what our fellow students in the earlier part of the century attempted….What they began is ours to complete. They had willed, but our wills must now be brought into the plan to consummate their daring purpose.” He yearned to go overseas but was now willing to stay in order to mobilize his generation of students to reach the world for Jesus Christ. Grace, the older sister of Robert Wilder, was born in 1863, the daughter of an American missionary to India that was a recruit of Samuel Mills of “Haystack” fame. 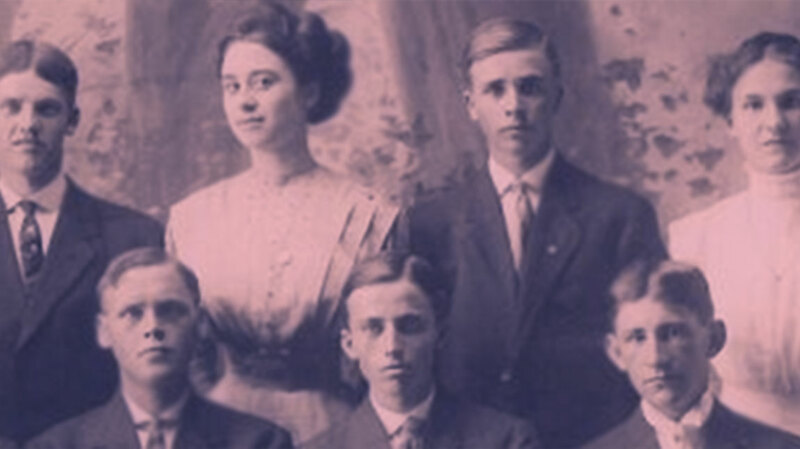 After thirty years in India, due to the father’s ill health, the family returned home to the Princeton area in 1876 where, a few years later, Grace enrolled at Mt. Holyoke College. While there Grace started a weekly Bible study for girls where she challenged them to sign a declaration stating: “We hold ourselves willing and desirous to do the Lord’s work wherever He may call us, even if it be in a foreign land.” Thirty-four girls signed it. At the same time, her brother Robert had started a weekly meeting in their home for Princeton men, and although Grace could not attend, she would hide in the next room and intercede for each of them. Months before the Mt. Hermon conference, Grace recruited Robert to begin praying that a nation-wide missionary movement would spring out of the July 1886 conference and even set the goal of “100” as the number of men they were praying would sign the declaration that Grace and Robert had drawn up. Once the conference ended, Grace immediately went to work as the unofficial SVM women’s rep to recruit girls to the movement. She asked this, “Can we not enlist every one of the 600 schools where young women are educated, so that united we may undertake our work, that of carrying the gospel into every nation?” At age twenty-six, she herself sailed for India with her widowed mother to continue the missionary work her father began. She died in 1911, at age fifty, having given her life to mobilizing college students and evangelizing the unreached. In the early 1930’s, Cameron Townsend, also a student volunteer, spent a summer in Guatemala passing out Spanish Bibles to mountain villagers. One day he came upon an unreached jungle tribe and handed a native a Spanish Bible, but then realized the man didn’t speak Spanish. Through the translator, the native abruptly asked Townsend, “If your God is so smart, why doesn’t He speak my language?” The young missionary was pierced to the heart and decided to drop out of college and spend the next ten years of his life translating the Scriptures into this tribe’s language. “Uncle Cam”, as he later would be called, ended up starting the most respected linguistic organization in the world, the Wycliffe Bible Translators. They have brought the scriptures to life for thousands of languages and millions of people around the globe. Many students were impacted by the SVM during these years─students like Samuel Zwemer, who became “The Father of the Modern Missions Movement to Muslims” and Donald MacGavern, a missionary to India who came back to begin the Fuller School of World Missions and help the church understand who the “unreached people groups” were. In fact, one out of every thirty seven U.S. students during that era signed their missions declaration, and if you applied that same ratio to the number of college students we have in the United States today, we would see almost 400,000 young people signing up to be missionaries. What Did these Student Firebrands for Christ have in Common? They were young and idealistic. They believed God could and would work mightily, even though, at the time, they were viewed as arrogant, rebellious, and foolish. They had strong vision. They knew exactly what God wanted them to accomplish and applied their faith. They were convinced of their calling. They usually had vocal opposition. Their detractors were, many times, other believers or Christian institutions who were either stuck in tradition, jealous, or afraid to launch out. They enlisted others. They didn’t try to go it alone but were zealous in recruiting other young men and women to join them in their vision. Their dedication attracted many. They persevered over the long haul. They never gave up even though they lost their spouses, children, health, and fortunes. They dedicated their entire lives for the sake of the gospel. They each had a deep foundation in their walk with God. Their journals are full of daily Bible study applications and heart felt intercessions as they sought the Lord through mountains and valleys. They spent years preparing their hearts, minds, and life message through saturating themselves with the Word of God. Many, like Jim Elliot and David Brainard, would spend hours a day in worship and specific supplication for nations, for workers, and for spiritual fruit. Each paid a price to build a deep lasting foundation. As a result, God had a strong base from which to build them into a giant skyscraper for Jesus Christ. The impact and legacy of their life is carried on today. What about you? Have you decided whether you want to follow in the footsteps of these world changers or not? There’s a tremendous cost, and yes, some of these pioneers lost their lives for the sake of the gospel. Today, though, Jesus is asking you to do something much tougher than to die for Him. He is asking you to live for Him, and to make an unreserved commitment of all that you are to Christ and His purposes on earth. The place to begin is with your foundation. Jesus spent three decades allowing the Father to prepare Him for three short years of ministry. If the Son of God needed that much time to build a foundation from which to launch His life work, how much more do we mortal men and women need? If you’re still in college, I beg you not to leave until you have built a deep and abiding foundation that will serve you for a lifetime. It’s not that you can’t continue to build on this foundation after college; you can and you must. But you will never have as much time and opportunity as you do right now. After graduation, the entanglements will come and seek to thwart your building process. Now is the time to focus. Now is the time to get as much spiritual training as possible. Stop and do some personal evaluation. Examine your roots. Look at your foundation and determine what kind and how much work it needs.